The West Grey Police Service in collaboration with the OPP are holding a Gun Amnesty during the month of April. The Gun Amnesty is for any Ontario resident who wishes to voluntarily surrender unwanted or illegally-owned firearms, weapons, accessories or ammunition. The Amnesty is a way to provide citizens with a safe way to surrender weapons and enhance public safety. During the Amnesty, Police will not recommend weapons-related Criminal Code charges that might otherwise apply to people who are turning in these items. 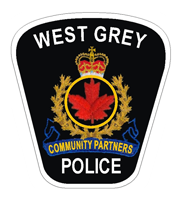 Interested gun owners are strongly urged to call the West Grey Police Service Dispatch Number at 519-371-6911 to arrange for officers to attend and safely retrieve the weapons. Under NO circumstances should anyone deliver guns or ammunition directly to police facilities.